In 2018, the TRATON GROUP continued to consistently pursue its goal of becoming a global champion of the commercial vehicle industry. Innovative technological solutions, sales successes and the expansion of strategic partnerships all contributed to this. With its MAN, Scania, Volkswagen Caminhões e Ônibus and RIO brands, TRATON SE aims to become a global champion of the commercial vehicle industry and drive the transformation of the logistics sector. Its mission is to reinvent transport for future generations: “Transforming Transportation”. 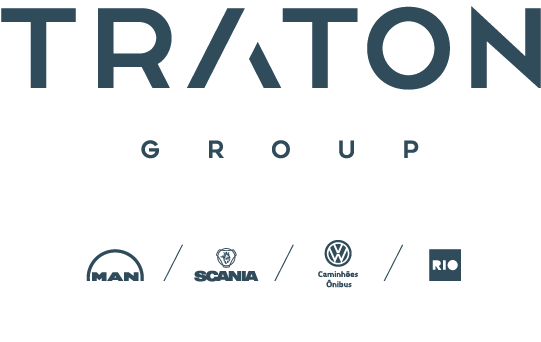 With this purpose in mind, Volkswagen Truck & Bus, as the company was known until mid-2018, has given itself the new name TRATON, which stands, among other things, for tradition, transport, transformation and tonnage. Other milestones in the reporting year were its conversion into a stock corporation and the achievement of capital market readiness. Under the TRATON name, the group aims to become a leader in profitability. It made major progress towards this objective in 2018. TRATON once again leads the truck market in the core markets of Europe and Brazil and considerably increased unit sales by 13.7% in the reporting year to 233 (205) thousand vehicles globally. Scania’s new generation of trucks and the newly developed MAN Lion’s City Bus both contributed to this success. TRATON reinforced its claim to innovation in 2018 with pioneering projects. These included the joint platooning project between MAN and DB Schenker on the A9 highway between Munich and Nuremberg and the fully autonomous Scania tipper truck in an Australian mine. TRATON also made progress in the field of e-mobility: Scania has been testing electric city buses in Sweden under everyday driving conditions since March 2018. MAN operates a test fleet of nine electric trucks for an Austrian consortium, gathering valuable experience in urban delivery traffic. In Brazil, Volkswagen Caminhões e Ônibus agreed to supply a beverage company with 1,600 battery-electric trucks by 2023. All the TRATON GROUP’s electric vehicles use a common electric platform, which is also found in the chargE school bus produced by the US alliance partner Navistar. At the IAA Commercial Vehicles 2018, the TRATON GROUP announced a new strategic partnership with the US company Solera. The partnership is intended to further expand TRATON’s digital capabilities and encompasses fleet management, driver services and digital sales solutions for the commercial vehicle industry. TRATON also informed about the further development of the strategic partnership with Hino: the Japanese commercial vehicle manufacturer and TRATON agreed to establish a joint venture for procurement and to pool their energies in the field of e-mobility. A joint venture to build heavy trucks in China is also planned with the Chinese truck producer Sinotruk. With its investment in the manufacturer Navistar, TRATON is working on leveraging synergies in procurement and technologies in the USA. The aim of all strategic partnerships is to strengthen TRATON’s global presence.